Nearly a century ago, civil rights leader W.E.B. Du Bois was asked about the system of education in the United States. He remarked, “Education must not simply teach work—it must teach life.” With his choice of words, Du Bois demonstrated what education leaders and practitioners, policymakers, and researchers now are coalescing their efforts around—creating an education system that prepares students for college, career, and life in the twenty-first century and that builds success of the individual, the community, and overall society. One way this body of work has emerged is called deeper learning. develop the academic mindsets necessary for learning. The Center on Education and the Workforce at Georgetown University notes that by 2020, 65 percent of job openings will require either a bachelor’s degree or some college/associate’s degree. Employers will seek applicants with strong cognitive and analytical skills rather than the physical skills formerly emphasized in industries such as manufacturing. These trends clearly demonstrate the need to embed deeper learning in the classroom and nurture competencies that often are not ingrained in students, but rather develop through practice and experience. 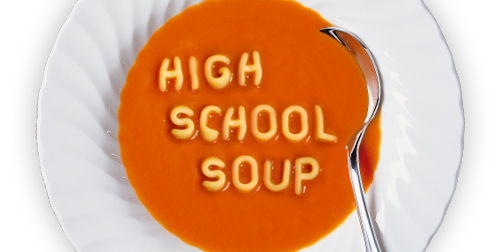 In short, preparing students for college and career demands change in schools. Policymakers and practitioners play key roles in this change by developing and implementing the policies, procedures, and practices that support the teaching and learning necessary to provide every student the opportunity to attain deeper learning outcomes. So, what are policies, procedures, and practices (PPPs) and why are they important to long-lasting change? Policies mandate educators to follow specific guidelines and are developed at the local, state, and federal levels. Procedures describe how the policy will be put in place at the district and school levels, and practices are what educators do in schools to implement policies. In a nutshell, PPPs create common expectations and common messaging and activities against which a state or district can measure its implementation and results. When these PPPs are aligned, planned, communicated, and implemented effectively, schools can achieve results during a shorter timeframe and for more students, including traditionally underserved students. Systemic change relies on these PPPs. They help drive both the curriculum and instruction through various approaches, strategies, and assessments, that when implemented consistently and evaluated for their effectiveness, bring about desired results in student achievement. 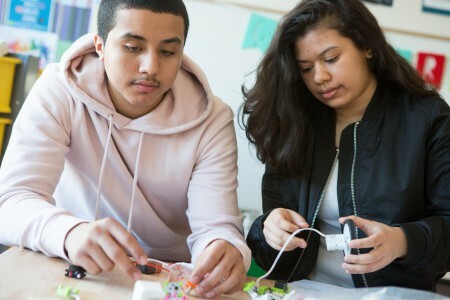 Some common examples of instructional approaches that lead to deeper learning include project-based learning, extended-performance tasks, and work-based experiences. The Alliance for Excellent Education (the Alliance) has created a toolkit designed to demystify deeper learning and help education leaders create the conditions that support it. Topics include assessing for deeper learning, high school opportunities, and infrastructure for deeper learning. The resources in the toolkit introduce state and district leaders to policies, procedures, and practices that support deeper learning. The toolkit is not designed to guide the implementation of deeper learning at the classroom level and does not provide “how-to” resources or specific instructional strategies that teachers use in their classrooms. This toolkit supports state and district leaders as they explore whether to launch a deeper learning initiative or move toward one; strengthen or expand existing practices aligned with skills that prepare students for the future; and commit the resources, political support, and expertise necessary to ensure success. With federal involvement in education changing, and states and local districts taking the lead in maintaining high standards for students, highlighting ways to strengthen deeper learning outcomes for underserved student groups is more important than ever. “For the nation to remain prosperous in today’s global economy, all students need access to the mix of skills that deeper learning approaches provide,” says Governor Bob Wise, president of the Alliance. Educators and citizens in general must recognize that teaching and learning must adapt to the needs and circumstances of each new generation and to an everchanging economy. As society changes, as the needs of employers become more demanding, the nation has a moral and economic imperative to prepare students for the challenges that await. The students of today are the leaders of tomorrow. Nelson Mandela once said, “Education is the most powerful weapon which you can use to change the world.” By creating opportunities that lead to deeper learning, educators can ensure the students of today are equipped with the knowledge, competencies, and skills they need to be college and career ready so they can make a lasting difference for themselves and their community. The Alliance’s deeper learning toolkit is available at www.all4ed.org/deeper-learning-toolkits/. Winsome Waite, PhD, is vice president of policy to practice at the Alliance.